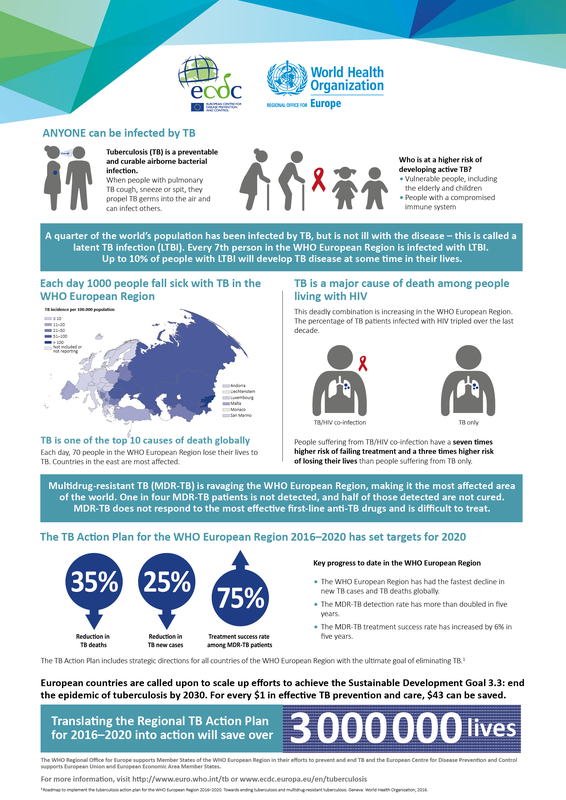 The European Centre for Disease Prevention and Control (ECDC) and the World Health Organization (WHO) Regional Office for Europe released a fact sheet, providing basic information on TB in the WHO European Region ahead of the UN High-Level Meeting on TB to be held on 26 September. To download the fact sheet in English, click here. 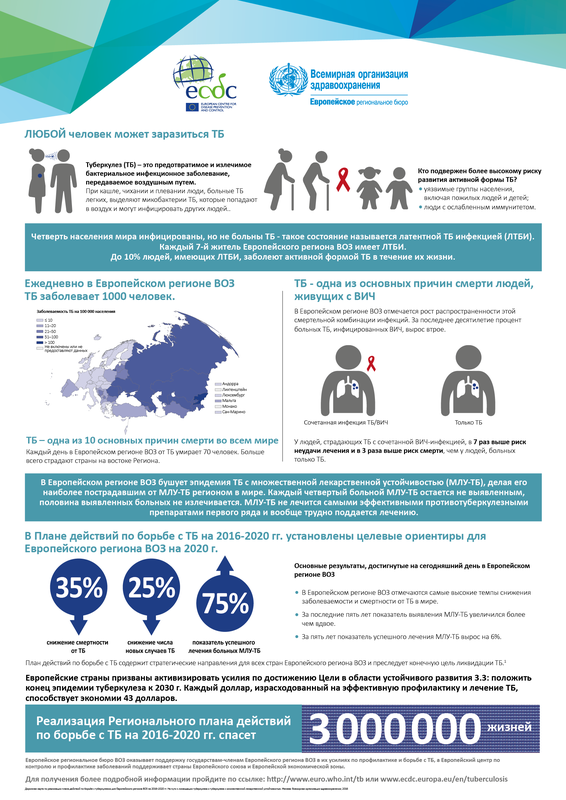 To download the fact sheet in Russian, click here. Published: Sept. 16, 2018, 8:45 p.m.
Last updated: Sept. 16, 2018, 8:46 p.m.